Aniracetam: An Effective Memory Loss or Brain Power Ingredient? Aniracetam is said to improve brain power and decrease memory loss. Known to patients as Ampamet, Sarpul, Sarple or Draganon, Aniracetam is used in Europe as a prescription drug. In the United States, it is sold over-the-counter as a dietary supplement. Aniracetam is a nootropic compound often referred to as a "Smart Drug" that is believed to augment our mind's fitness or brain power and ability to function and store data, therefore reducing memory loss. Aniracetam is advertised to function by promoting communication between the left and the right hemispheres of the brain, therefore increasing one's brain power and decreasing memory loss. Aniracetam augments the way the two hemispheres of brain communicate and helps to stimulate AMPA and NMDA, which are both key to memory development and concentration. Like other nootropics, Aniracetam is advertised as being very safe, although it may be slightly more toxic than Piracetam, another drug used for increasing brain power and decreasing memory loss. Aniracetam was originally created to enhance brain power and reduce memory loss for patients with cerebral dysfunction disorders such as Alzheimer's disease, Parkinson's Disease, and Post-Stroke confusion. However, Aniracetam lacks proven research when it comes to improving cognitive health. Other extracts on the market, such as Phosphatidylserine, Vinpocetine, and Alpha GPC have all been proven in international clinical studies to show dramatic increases in cognitive health, including increases in brain power and decreases in memory loss. A single dose of Aniracetam peaks in its ability to boost brain power and reduce memory loss two hours after administration, and the increased levels return to baseline within six hours. The recommended dosage for lessening memory loss and enhancing brain power is 750 to 1500 mg daily, or less if used in conjunction with other nootropics. Is Aniracetam an effective memory loss or brain power ingredient? The majority of Aniracetam testing has been with animals, and only limited research has been performed on humans. The Aniracetam research has focused primarily on elderly patients who suffer from a lack of brain power and memory loss due to Alzheimer's disease. No known studies have been performed on healthy, unimpaired humans. However, human studies of other nootropics, such as Piracetam, show an improvement in memory loss and brain power. Aniracetam can be problematic because while it stimulates brain power and diminishes memory loss via the AMPA and NMDA receptor sites, it may also create excitotoxicity or neural over-stimulation. This means that Aniracetam may be contraindicated for some patients. Other noted side effects from Aniracetam are unrest, anxiety, agitation in the evening and insomnia. Typically it takes 60 days to see the side-effects and/or therapeutic value such as a reduction in memory loss and increase in brain power of aniracetam. 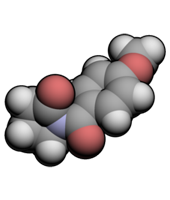 Research shows that Aniracetam does not consistently fulfill its intended purpose as a cognition enhancing agent. Aniracetam does not reliably bolster brain power or lessen memory loss. Scientists are puzzled why Aniracetam can have such a powerful effect on the brain so inconsistently. In the meantime, current nootropics can be used to diminish the effects of memory loss and increase brain power. If you are curious about which top-selling brain supplements contain Aniracetam, read our reviews!